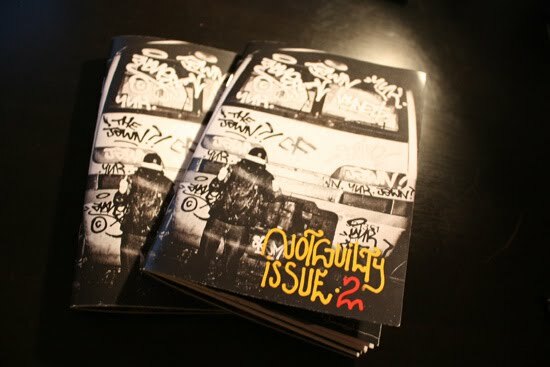 The second instalment of the DIY Graff zine "Not Guilty" has just dropped. 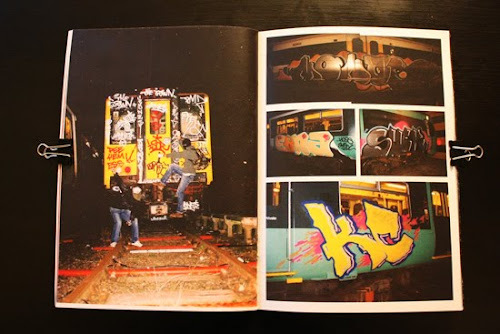 The zine is a 52 page of graffiti culture, ephemera and photography all in full colour. Featuring English, Welsh and Scottish commuters as well as unseen 2010 UK Subways. The zine is set to be released quarterly and this issue ships with some stickers and free OTR blackbook markers! Bag yourself a copy over on the Not Guilty blog here.